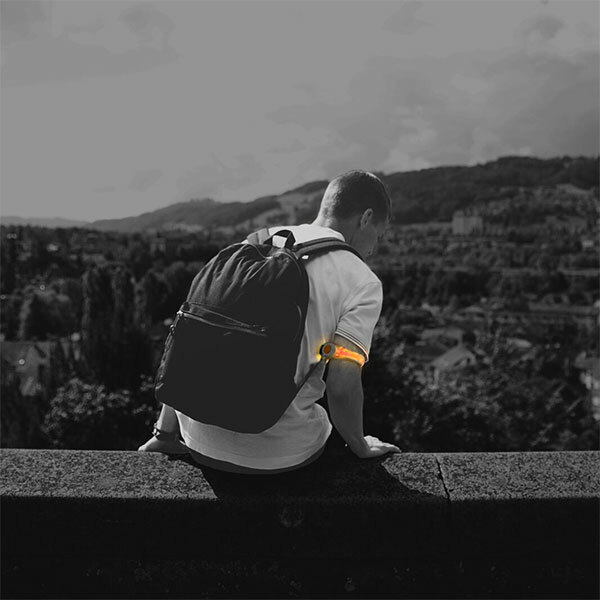 Stay safe while training outdoors with the orange and white "PowerArmz" arm band. 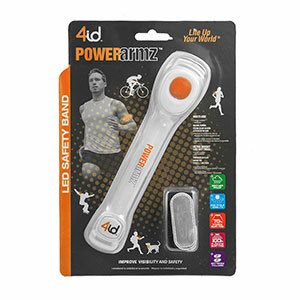 The arm band is light, adjustable, and it's powered with high intensity LED lights keeping you visible at all times. Uses 2 CR2032 batteries that will be included.